The couple couldn’t believe it when their “cheeky offer” was accepted. With Alyson a professional artist and her husband a photographer, they now have all the space they need for a studio. It took five years from when they bought the property to when they were able to sell everything up back home in the U.K. and ship out. This is the Algarve. And there’s nobody better to give you a snapshot of what your life could look like than the expats who gathered with us last week for our 2017 Live and Invest in Portugal Conference. Here they shared both ups and downs of expat life… as well as practical tips for living and buying property in the region. Canadian Dirk Driedger came to the Algarve from Albania after his visa expired in that country. He’d first thought of moving to Spain. But after a few days in Altea—the town that had been recommended to him—he knew it wasn’t for him and drove on to Portugal. 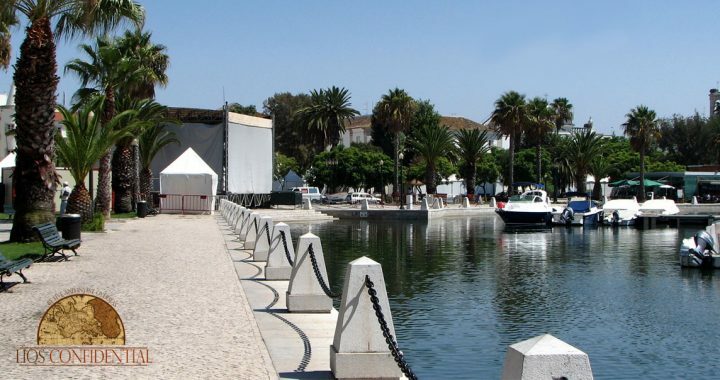 After a chilly evening in Cascais on the west coast, he craved a warmer climate and drove down to the Algarve. Dirk now lives in Lagos where the weather suits him perfectly and he enjoys the beautiful, uncrowded beaches, abundance of fresh seafood, the great outdoors, and the ease of travel back home to Canada… as well as the opportunity to explore other parts of Europe. “One day, I read about Portugal—a place I’d never considered—and thought ‘Maybe this is it!’” Stephanie told us. “As soon as we set foot in Portugal, we knew this was the place. We absolutely fell in love with it. All our expats agree that you need to be brave to enter the water (it is worth it once you recover from the first cold shock). Remember, this is the Atlantic, not the Med. Language is also a challenge. Portuguese is nothing like Spanish… and, sadly, the written word gives no clue as to pronunciation. Our expats’ advice is to learn by listening before moving to the written language. This is just a snippet of what happened here in the glorious Tivoli Carvoeiro Beach Resort last week. You can hear Alyson, Dirk, and Stephanie in full—along with our full team of Portugal experts—in your 2017 Live and Invest in Portugal Home Conference Kit. Several itemized budgets for day-to-day living, for those with budgets big and small…. Our all-new 2017 Live and Invest in Portugal Home Conference Kit is everything you need to consider whether or not Portugal makes sense for you. Until this Wednesday, July 12, the general public can reserve this one-of-a-kind resource with a whopping, pre-order discount of well over 50%. Pre-order your copy of this ultimate Portugal resource today, and you’ll enjoy an additional US$20 off of the price… for a total savings of 60% off! This means you can access our complete library of Portugal resources, including our Algarve Overseas Haven Report and the entire bundle of live presentation recordings from last week’s Live and Invest in Portugal Conference, for a tremendously discounted, limited-time price. This exclusive pre-release disappears in two days. Act now to start exploring our number one retirement haven at the most affordable price. Posted in conferences, Live And Invest Overseas Confidential and tagged Portugal Conference.